Auto Sumo's O.G. Kush Feminised is the automatic version of Sumo's O.G. Kush that was created with the addition of some ruderalis genetics..
Auto Sumo's O.G. 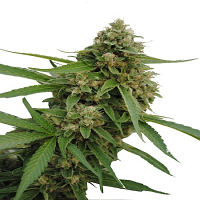 Kush Feminized Cannabis Seeds by Sumo Seeds: Auto Sumo's OG Kush Feminised is the automatic version of Sumo's OG Kush that was created with the addition of some ruderalis genetics to produce a plant that is not reliant on a shortening of the photo-period to induce flowering. In this way plants can be grown to maturity outdoors in regions with long hours of daylight in the summer. 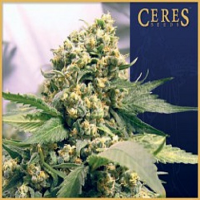 With 70% indica genetics, 20% sativa and 10% ruderalis these seeds grow plants that are compact producing medium levels of THC and CBD after a flowering period of 6 - 7 weeks. 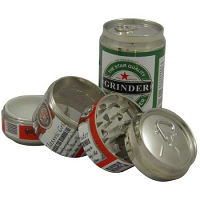 Flavours are earthy with hints of pine and citrus and when smoked the weed gives a heavy body stone. Indoors plants grow to about 60 - 80cm. tall or 80 - 100cm. outdoors. Yields are average at 200 - 300gr/m2 indoors or 50 - 70gr/plant outdoors.